A fire retardant varnish is supplied in a 3-part intumescent coating kit for the fire protection of wood and for timber derivatives. This fireproof varnish kit comprises one tin of Thermoguard intumescent varnish base coat, one bottle of activator and one tin of flame retardant varnish top coat. The 20m2 passive fireproof kit provides a Class 0 fire rated varnish system for wood. In a fire situation the intumescent base coating expands to form a fire resistant carbon char that insulates the wood from heat and flames. EU test confirms low smoke emission. The char delays and reduces the ignitability inflammation of wood to prevent the propagation of fire. The special formula provides a tough, durable decorative finish to internal panelling, cladding and trim. The clear finish enhances the natural beauty of the substrate while fire protecting new and previously varnished surfaces. The protective fire varnish top coat provides protection against UV and wear and is available in satin or matt finish. 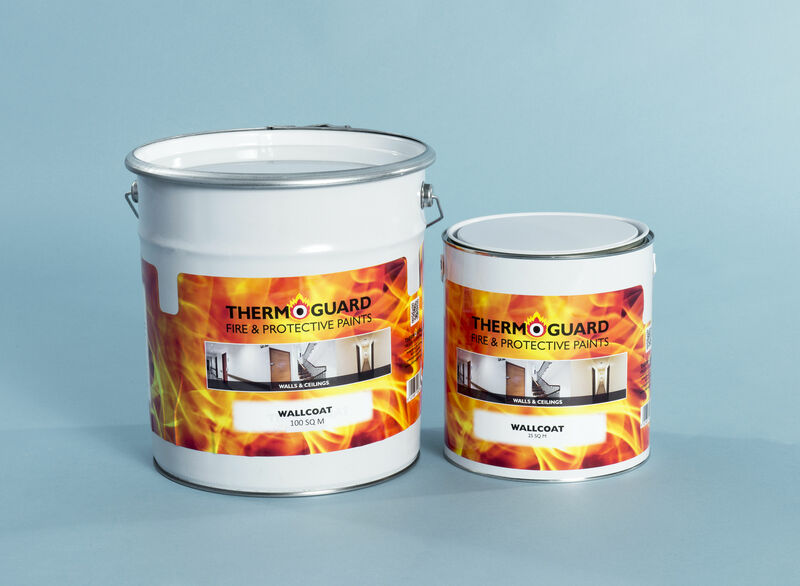 Thermoguard fire retardant varnish has good adhesion and can be applied on surfaces previously coated with a standard clear varnish in good condition. The intumescent varnish system has been fully fire tested to BS476 Part 7; Class 1 surface spread of flame and BS476 Part 6; Fire propagation and European EN Class B. It is designated Class 0 in accordance with UK Building Regulations.